Almost all the things that we use in our everyday life contains metal. Starting from a pen’s nip to an airplane, almost everything has at least a little touch of metal. It’s become an important element of our everyday life. To make thing strong and long-lasting metal has no competitor. As a result, we can find a lot of metal made things which are no more usable or also can be called as scrap. But this scrap metals are easily recyclable. That is why even though the old metal thing loses its ability yet it has some value in the market. Most of the times recycling factories make new metal products with old scrap metals. They purify the old metals, melts it and makes a new thing. So, it will not be a bad idea if you want to start a scrap metals business. You can easily make a profit out of it. And it is a really an easy business to start. Unlike other businesses, you will have no need to go through so many difficulties to start this business. Just a few steps will be enough for this business. All you will need are a little bit business knowledge, enough capitals, few workers, a storehouse, and a vehicle. These are the basic needs of this business. Business knowledge an obvious thing to say. Because almost every business needs business-related knowledge whether it is a small business or large. Without proper knowledge about something, it would be impossible to maintain that thing. That is why, you will need some knowledge about the management even if it is very little, and it is still okay for this business. Indeed, capital is the most important thing for this business. Do you know why? Because you are going to buy things first. And buying will cost you money. And you will also need a storehouse for storing all the scrap metals that you collect from people. And for making thing faster you can even go to people’s door to buy metals instead of waiting for them to come to you. And for doing that you will need a huge vehicle that can carry a large number of heavy scrap metals. And for buying the vehicle, of course, you will need money. That’s why you will need a large amount of capital. First few months you will have to continue your business with your own capital as you will not have any income. Buying a storehouse, vehicle, and metals, all will cost from your own pocket. And that is why without capital you can do nothing in this business. If you don’t have enough capitals yet it’s okay. You can collect it from different sources. One of the best ways of it is to borrow from someone familiar, such as friend or relatives or even family members. Because that will cost you no interests. But if you do not have any of these sources yet you can get money. But that will need you to go through some formalities and you will also have to pay interests for the money you borrow. You can get different types of loans basing on your business type and your demand. Even though it will cost you a bit more yet something is better than nothing. As it is not an ordinary business, you have no need to choose your business and storehouse area in the city and populated area. Cause, people don’t need to go to scrap metal’s shop every as metal becomes scrap after a long period of using that. And having a scrap shop and storehouse in a town area will cost you a lot. So, it would be better for you and your business both if you find a suitable area in local village area or countryside. It will also be good for the environment. As it is a local area, you can easily get a place in the lower rate for your storehouse and scrap shop. And it will help you in saving some of your capitals. It may be a bit far away from your usual living place but for your business’s well-being, you will have to sacrifice at least this much. And it will not be a very big problem for you too because you already have vehicles for transportation. When you finish all these arrangements and are ready for starting your business, you will need to think about your business management system. It is not easy to maintain such a large business. And also it will not be that difficult if you know how to manage a business in a proper way. The management system should be under your control or you can give it to someone trustworthy. Otherwise, you may face business losses. As you are going to buy scrap metals from people and will also have a shop so that people can come and sell metals whenever they need, you will need a lot of workers. Eight to ten people are the must. Cause, there are lots of works in a scrap metals store. For transferring the metals from vehicle to the storehouse, you will need at least three to five people. And for other works, you will need more workers. Unlike other businesses, you will not need any types of opening ceremony or decorations for your store. Because you have no need to attract people in this business. They themselves will find you whenever they need. That’s why you don’t have to spend extra money behind decorations and openings. Yet you can decorate it a bit if you want to and have enough budget. Likewise, there’s also no need of nameplate or board but if you want you can make one with whatever name you want. This part totally depends on your own will. So, do it as the way you want. When you gather enough scrap metals in your storehouse, you can easily make deals with any types of recycling factories. And you can sell your items to them with a higher price than that if you bought with. And this extra money that you are going to add should contain all your expenses behind that thing. Otherwise, you will not be able to make a profit out of them. Suppose, you bought one kg scrap metal for $2. For bringing that to your store and storing that in your storehouse, you had to pay the transportation bill, workers’ salary and also your storehouse’s rent. And all these things worth $1 in money. Then, you will have to add that $1 with the cost and also add some profits. After that, the total selling price of that one kg metal will be $3+ something. And this is how you should calculate your cost and price for making profits without facing any losses. Here you can find Top 10 Recycling Business Ideas. 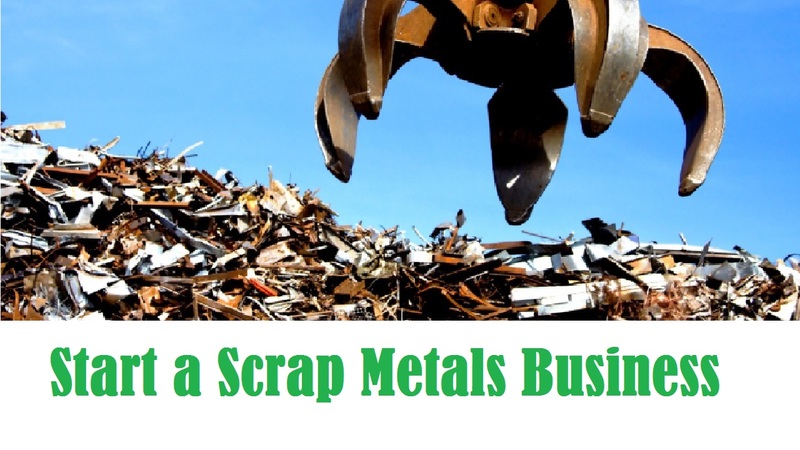 If you can complete and maintain everything that I have mentioned then you can easily become successful in your scrap metals business. Hope you find this helpful without facing any problem. And remember one thing, business is not all about making profits, sometimes it also needs patience and passion. And if you can stick with these, you will surely become successful. My best wishes are with you. Thank you.